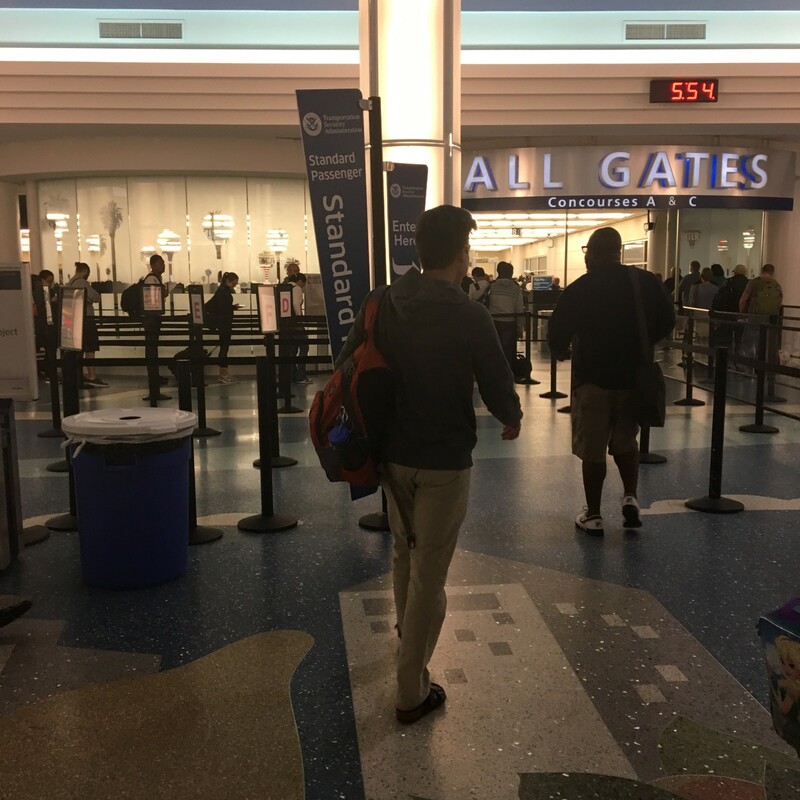 On Friday, rather than attend my son’s graduation ceremony with Providence Extension Program, my husband and I woke up at a crazy-early-hour to take our son to the airport so he could catch his American Airlines flight to Charlotte and then connect to his flight to Denver. Then he rendezvoused with a group of young people to take a ride to Frontier Ranch outside of Buena Vista, CO. 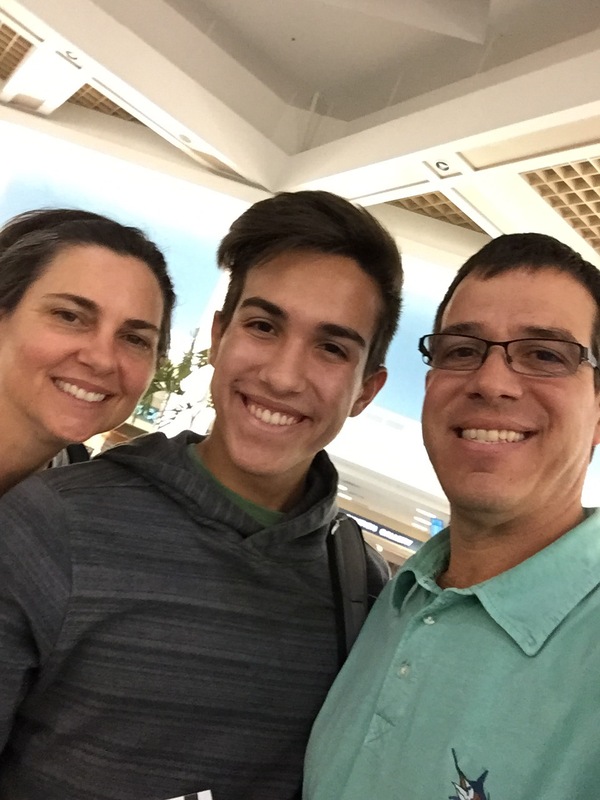 Although he had not been involved with Young Life until just a few months ago, he has heard stories about Young Life camps and how awesome they are from his father and me. We met through Young Life in college. It was a great ministry for us then and it’s still going strong! So when he said he he wanted to get involved with YL while in college, we were very pleased. His cousin, Cole, attended FR last summer and this summer Cole’s sister is going the same session as Timothy! So the cousins will get to work together! How fun will that be? 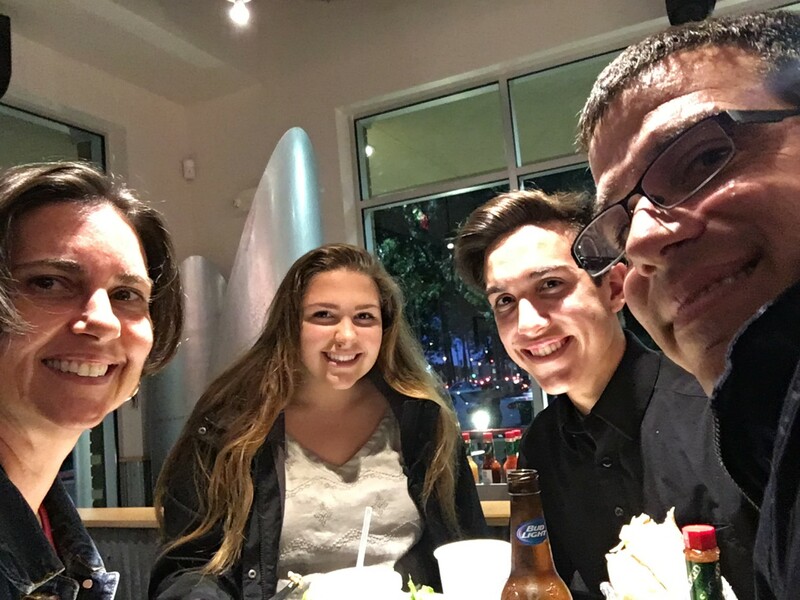 The last supper together at Chipotle’s! Oh my it’s early! At the airport getting our last hugs! He will be on work crew, serving as a server. He didn’t really have a lot of details of what his job will entail ahead of time but I served on workcrew at Southwind in 1989 or 1990(?) as a server and we basically waited tables. Three meals a day. Set up, served food and drinks, cleaned up. Repeat. He is such a people person and a servant and I know he will have a blast getting to know kids and other leaders. I am SOOO excited for him! He will get to see real mountains! He loves the outdoors and hiking and rock climbing and to be surrounded by all that nature will be so wonderful for him! Put that on the front of your envelope and even if I hardly know you I’d love if you wrote me a letter! I will answer each and every one that I receive! You’ll also receive my eternal thanks and gratitude for spending the time to write me a letter! This is not a conclusive list please feel free to write to me about things not on this list but do write to me! So if you care to, even if you don’t know him, would you drop Timothy a postcard from where you live? I think it would be so fun for him to receive postcards from all over the country, nay, the WORLD while he is at camp. Jot a thing or two about yourself and where you live. And if you are a believer, maybe say a prayer or two for him and the others at FR? How great would it be for him to receive mail every day (I mean besides from his mother)? I am grateful for this opportunity in which he gets to participate. I am grateful for my friends who love me by loving my children. I am grateful for this online community. I’m just gushing with gratitude over here. Linking up with Simply Shaunacey. He is going to have an incredible experience! So awesome! I know! It’s so great and I’m so happy for him! what an awesome adventure and it sounds as though you have raised quite an outstanding young man!!! I know you and your family must be so proud, it’s actually VERY obvious in your smiles and the way you write about him. I didn’t realize how quickly your baby was going from home to the next chapter! What a fabulous direction he is moving in. Well done, mom and dad. Handsome lad, so well raised. Leslie, you always say the right thing. Your comments always make me smile!